After his course of studies in art history and archeology, Walter Storms established his gallery in Munich’s Kaulbach Street in 1977. Shortly after the opening, the gallery quickly established its international reputation by committing in particular to Italian artists, such as Marco Gastini and Giuseppe Spagnolo, as well as to artists in Eastern Europe, such as Magdalena Jetelová and Roman Opalka, and by discovering yet unknown artists of the time, Albert Hien and Michael Wesely to mention just two of them. Twenty years later the gallery moved to a larger space, i.e. to the representative gallery villa which included a sculptural garden in the Bogenhausen neighbourhood. 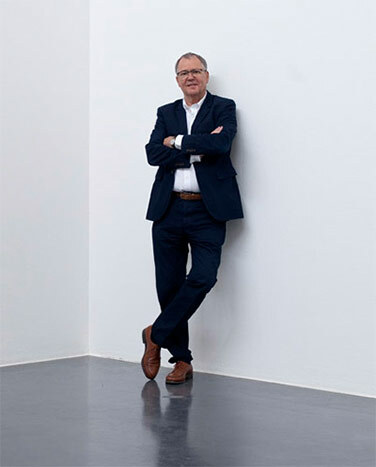 The focus of the gallery is especially set on artists such as Ulrich Erben, Rupprecht Geiger, Raimund Girke, Gotthard Graubner, Otto Piene and Günther Uecker and also, concerning a younger generation, Roland Fischer and Peter Krauskopf. 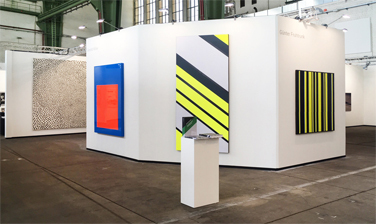 In 2009 the presentation and storage facilities were considerably enhanced by a 500 square metre exhibition hall in the Maxvorstadt neighborhood. The first exhibit there presented Sean Scully. In the past, the gallery participated in the art fairs ARCO Madrid, Art Basel, Art Chicago, Art Frankfurt, Shanghai Art Fair. Since 36 years we have been showing at Art Cologne and in 2019 we will be taking part in Art Berlin and Art Dubai as well.